Valve says it's time to stress-test its developer tools and systems, so it's given the greenlight to a whopping 100 new titles on Steam. 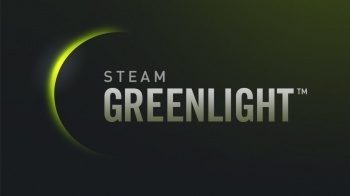 Until now, Valve has handed out Steam Greenlights in small batches - a few here, a dozen there, that sort of thing. But today that's all out the window. Today, it gave the Greenlight to 100 new titles, all at once. "This latest milestone is both a celebration of the progress we've made behind the scenes and a stress test of our systems," Valve said in the announcement. "Future batches are not likely to be as large, but if everything goes smoothly we should be able to continue increasing the throughput of games from Greenlight to the Steam store." Ray's the Dead - Create and Control Your Own Zombie Army! Whew! That's a lot of stuff. I recognize a few of the names in the list, like Escape Goat, The Plan and A Walk in the Dark - good games all - while some of the others barely qualify even as just working titles. But the important thing is that if this massive wave of green lights doesn't bring the system to its knees, we should see a lot more quality stuff appearing on Steam in the future. That's good news for indie game devs, and good for gamers, too.